Are you looking for a prestigious wedding reception venue? Welcome to the Château de Pennautier! 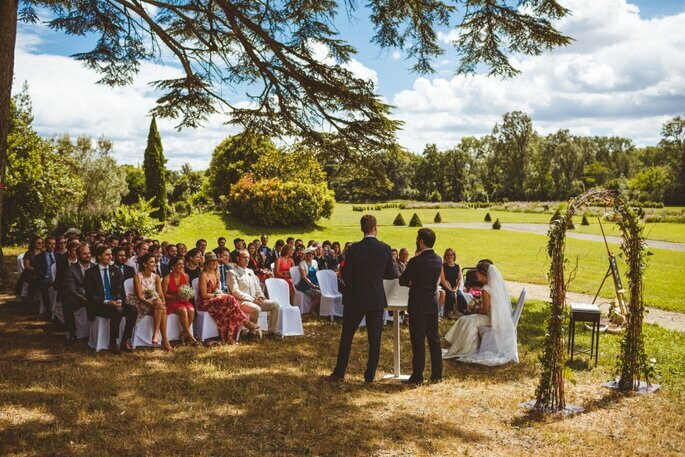 Located in the heart of a vineyard in the south of France, only two kilometres from Carcasonne, this château is ideal to unite all of your nearest and dearest to celebrate your wedding in the most splendid manner. Built in the 17th century, this fabulous castle will enchant your guests with a ballroom, several function rooms, 24 bedrooms, 8 cottages and a restaurant and wine bar. It is brimming with the richness of the past and has even been classed as a historical monument. Pass through the gates of the property and admire the magnificent building which stands in front of you. You will notice the immense park which surrounds it, ideal to hold your cocktail party and make the most of the last few rays of sunshine for the day. Whilst losing yourself in the vines that line the winding paths, you’ll already be able to picture yourself posing for couple photos, surrounded by your friends and family. 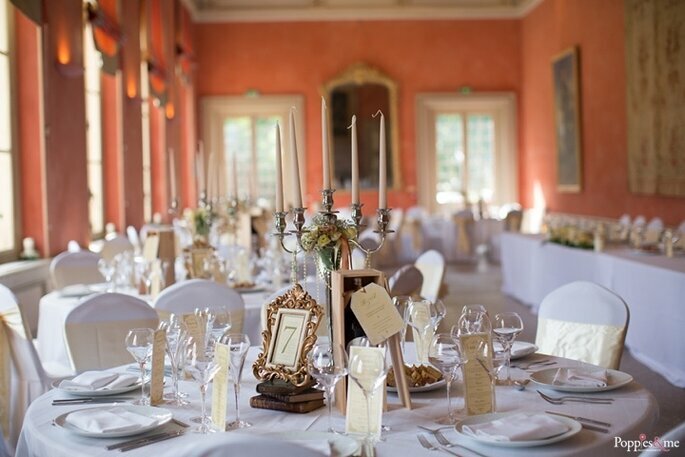 Head towards the orangery, where you’ll find several rooms to hold your celebrations. The Molière room, for example, is 125m² and can hold up to 110 people for a meal. For more intimate gatherings is the Anduze room, which caters for up to 50 people. So however many guests you have, you will find the perfect room to suit your needs. 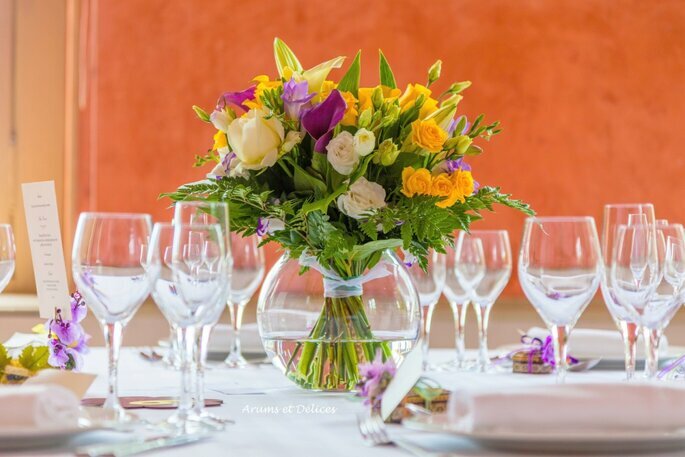 Continue your visit of the venue by entering the château, which is a fabulous spot to hold your wedding reception, especially in the splendid 135m² Louis XIV gallery. 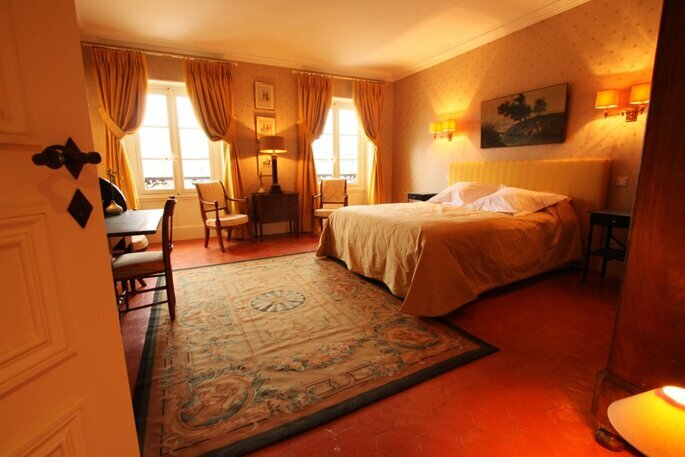 You will then discover the numerous bedrooms where your guests will be able to spend the night. In total, 46 people can be housed inside the château. And that’s not all! 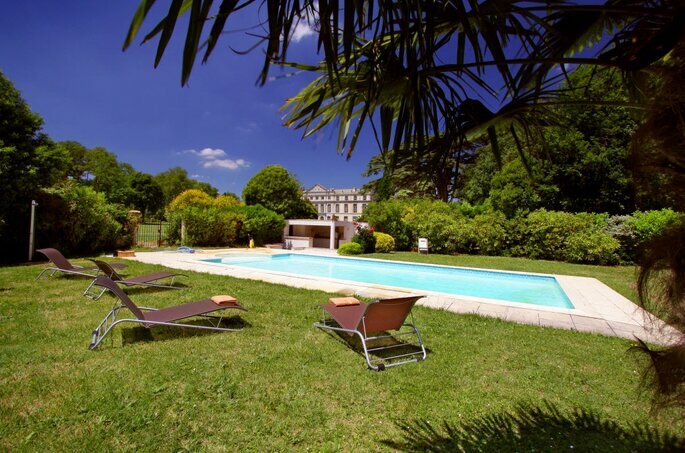 The gardener’s house situated in the park is also at your disposition to lodge your loved ones, with the domaine de Garille, only 2 kilometres from the château, posessing 7 cottages. 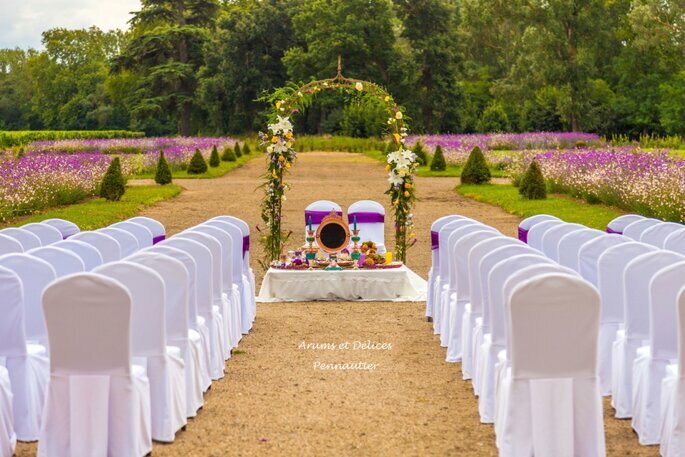 Should you require it, the château’s owners can provide an organisation and coordination service so that your big day can go ahead in complete serenity. They can also put you in touch with top-quality providers, given that they have a large network of contacts. 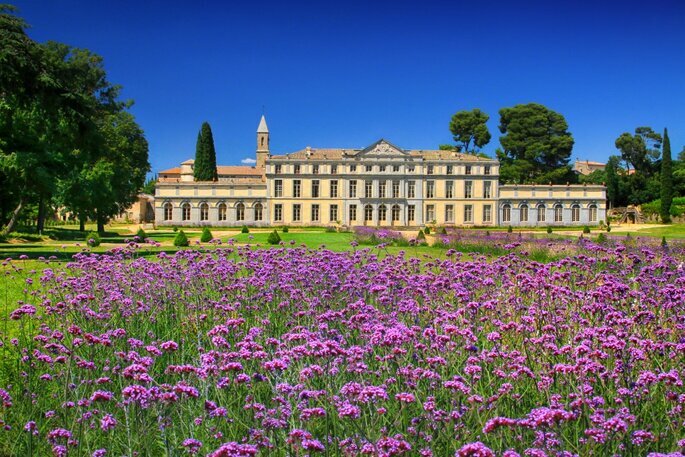 So, what do you think to the Château de Pennautier? Don’t hesitate to start contacting providers as soon as possible to commence the preparations for your special union in this stunning venue. 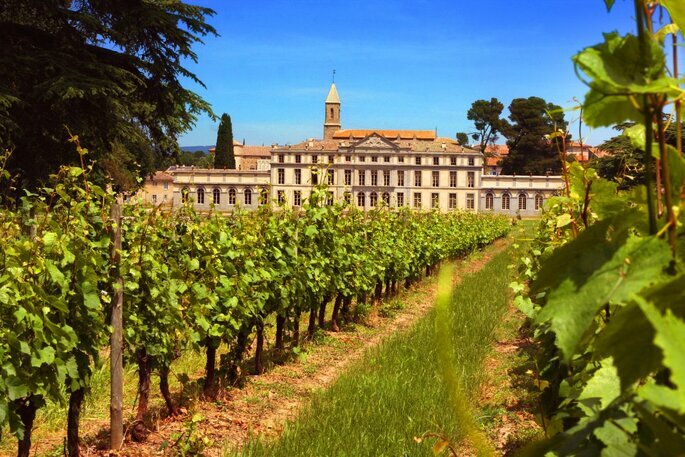 Email contact@chateaudepennautier.com or call 0468 756529. Make sure you look your absolute best on your special day with our Top Tips for the Perfect Bridal Makeup and, not forgetting about our grooms, take a look at our pick of the best Bow Ties for the Boys.